Marilyn is nationally board-certified in foot reflexology and certified in hand reflexology as well. She has had advanced training in various techniques as indicated below. She has a private practice in which her experience includes the treatment of various autoimmune disorders. In addition to her private practice Marilyn provides reflexology treatments to cancer patients while they receive chemotherapy. Marilyn has a background in the pharmaceutical and nutritional industries which has provided her with an understanding of the importance of the relationship between conventional medicine and integrative therapies. 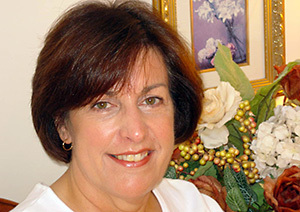 Marilyn has served on the board and is a current member of the Massachusetts Association of Reflexology as well as a member of the Reflexology Association of America, the craniosacral Reflexology Institute, and the Associated Bodywork and Massage Professionals.